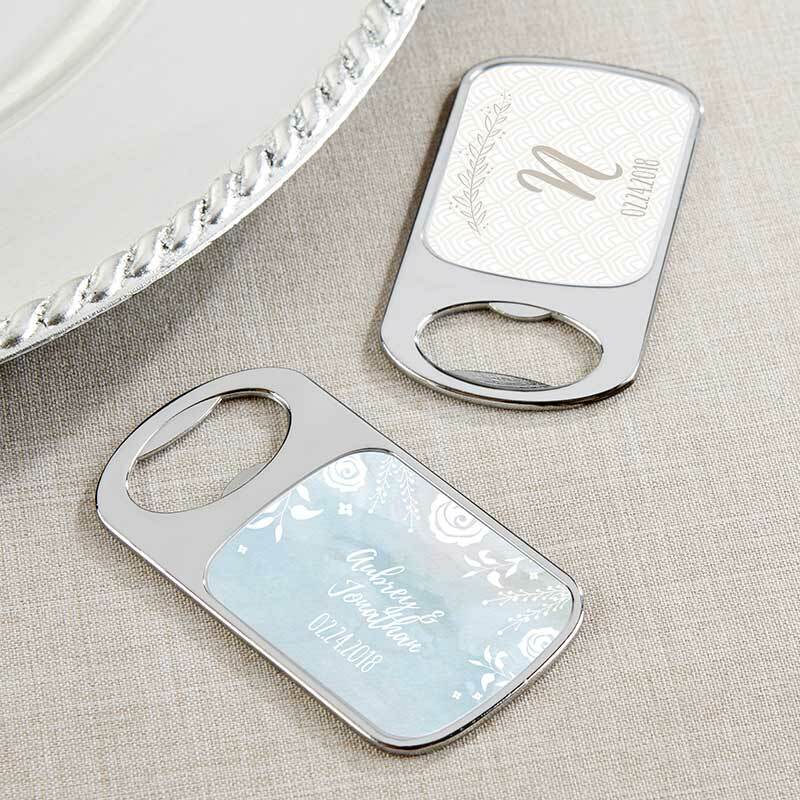 Keep the drinks flowing while you celebrate with our Personalized Silver Bottle Opener with Epoxy Dome from the Kate Aspen Ethereal collection! A personalized sticker in either a geometric or watercolor design will be protected under the epoxy dome, showing your names or your monogram along with your event date. 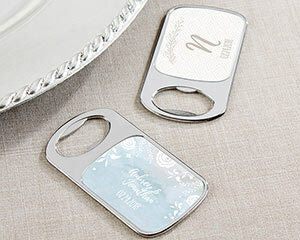 Our Ethereal collection is whimsical and versatile, allowing these elegant bottle opener wedding favors to fit into any theme you may have in mind!